Fishing is one of the best ways to enjoy your day, casting a line using your fishing pole and reeling out a big one. But if this is your first time or you have just started, getting in the right direction and with proper knowledge will make your fishing trip successful. So you really need to know how to fish. Beginners usually don’t know much about fishing, and often return empty handed which demoralizes them. We try to ensure that this does not happen with you. 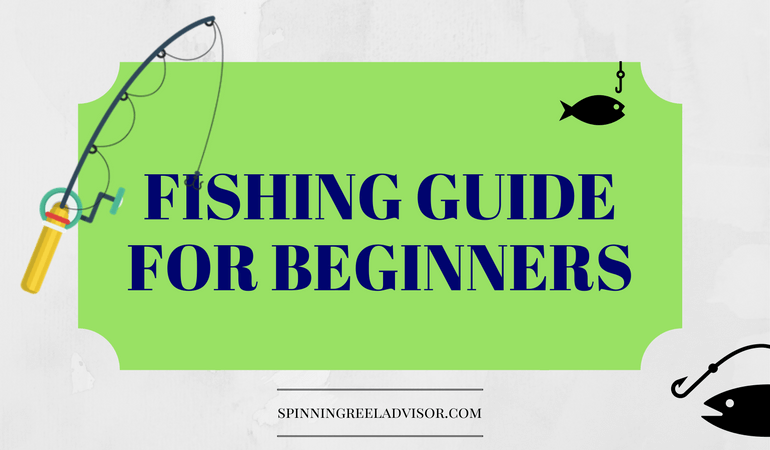 So we created a complete guide on how to fish for beginners. Here are some of the most valuable tips as per experts for your successful trip. Picking up the right spot: If you plan on to fish, the very first step is to select a place where you can fish easily without any interference. Talk to the persons who fish regularly to get a better idea about the spot where there is a chance of catching something. There are lots of governmental parks which are available for anyone, these parks and ponds are a nice spot for beginners that provide easy catch. If you don’t like crowded places much, then you can look for secluded spots outside of your locality but make sure you do not trespass someone’s property. Find the exact place: Well it’s for those guys who look to catch a big one, as most of the big fishes spend plenty of time in deep waters and come to shallow water to feed. So find a place where deep water meets shallow water. Also, look for places with reedy and log filled beds. These are ideal places to reel a big one. Timing is everything: It’s correctly said that every job has its appropriate time and this holds true for fishing too. As freshwater fishes are mostly crepuscular feeders, which mean they come out to feed either at dawn or sunset, making these time slots most effective. Early morning and evenings are the ideal time to catch fish. Know about your spot: Well, if you are planning to eat your catch for dinner then make sure it’s clean. By clean we mean that the water body where you are fishing is not contaminated and for this, you can contact local authorities or check the website of local Department of Natural Resources. Getting a fishing license: Go through the laws regarding fishing of your state and if it requires getting a fishing license to fish in your state, get one as soon as possible. You can also get a smaller short term permit easily if you are not planning to fish for the entire season, it also saves you some extra bucks. Also, there are free fishing days when you don’t require any special permit. So plan accordingly. Finding a fishing rod and reel: These are something which sounds like we are into fishing. Every angler needs a rod and reel to start fishing. So let’s have a look for basic needs for beginners. Rod: A medium length pole with comfortable weight is a nice choice for beginners. The pole should be roughly as long as the angler and relatively flexible such that they don’t break the line. These are good for a small catch but not good for a big fish. Reels: There are two kinds of reels. Out of these the most popular reel is the baitcasting reel that spools vertically and other one is the spinning reel that spools perpendicularly to the line. For beginners spinning reels are more preferred which are operated with a push button. A matching fishing line and appropriate hook: Once you have got the pole and reel, the next thing to consider is to get a proper line for your pole and a hook. Both of them depend on the kind of fish you are going to catch. Line: The line and pole go hand in hand as if you have a stiff pole you need a strong line or if your pole is slightly flexible you can have the lightest gauge around. Smaller hook & line gives you better chances. Hooks: There are a large number of hooks available in the market, and each one of them is designed for a few types of fishes. So get tips from local anglers or experts regarding the available fishes and then accordingly get the proper hook designed for them. You can increase your success chance this way. Selecting the right bait: Perhaps you have done everything correctly and made the proper plans too, still you are not getting any results why? The obvious answer is the bait; there are tons of varieties of baits available in the market from artificial to natural. And a different range of fishes are attracted to different baits, we have mentioned a few to make the work easy for you. White Bass: This fishes like minnows and follows them upstream. So if you are planning to catch them, minnows make an ideal bait. Smallmouth Bass: They also eat minnows but love crayfish or Thus the best chance is to get them by using a crayfish or leech as bait. Walleye: This is a trophy for any fisher, and this trophy loves to eat night crawlers, leeches, and grown minnows. Use these baits to get them. Flathead catfish: Crayfish, shrimp or night crawlers serve as nice bait to lure them. Northern Pikes and Muskies: They don’t have any appropriate choices and pretty much eat anything off the hook. Minnows and smelts: No individual baits needed for them. Just use an umbrella net to get them at will. 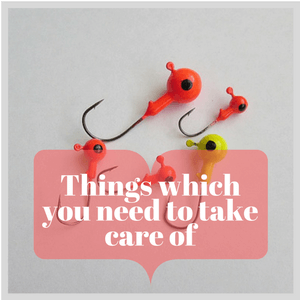 Now you have everything ready to catch your first fish, but still, there are some other things that you need to take care of, these are mentioned below. Tying the hook on line: For beginners, it is quite important, if you don’t tie your hook properly you may lose your hook along with the fish on it. So tie the hook firmly and use proper knots. Using appropriate weights and bobbers: Depending upon the state of water body in which you are fishing, weights or bobbers take your hook to good depth at which fishes hunt. Catching fish: Once you feel something on the line, pull the fish by vertically lifting the rod and simultaneously reeling. Don’t use reel all the way to pull in the fish, instead use hands to pull it in. Have a net to bring your fish in: Take the fish in with a net after you reeled it in, be careful of hooks on the fish and the sharp spines of fishes. Removing the hooks: You can use the needle nose pliers to remove the hooks from the fish, try gently backing the hook out, so it comes out easily without hurting the fish if you have to release it. Some people leave the undersized fishes so the hook must be taken off carefully. 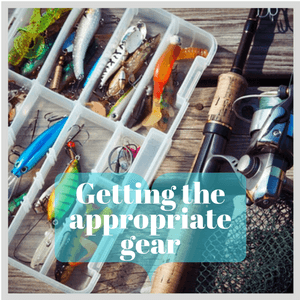 If you have something on the hook which is either too small or too large for you then quickly decide that whether you want to keep your catch or not. If the answer is no, immediately release it into the water and try for the next one. Fishing anywhere requires a lot of patience and time. If you wish to be successful at it follow our guide to attain the proper result. For other safety tips regarding fishing, read our article “Experts Tips on Fishing Safety“.